Southern Sussex Rotary presented a check to Boy Scout Troop 281 Thursday night to support the local troop. 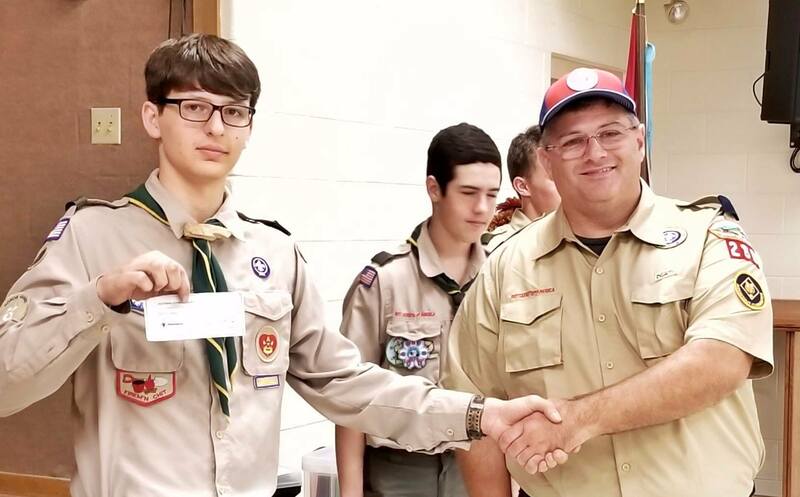 Brendan Crotty, Rotarian and Eagle Scout presented the check at the weekly Troop meeting to Tommy Kangas, Life Scout and Senior Patrol Leader of Troop 281. Rotary has supported Scouts for years and is proud of all the local Scout achievements.